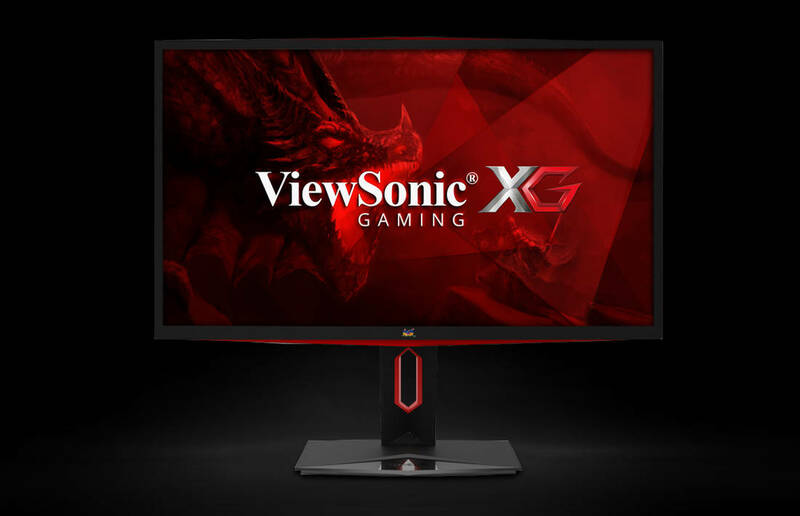 ViewSonic has launched their latest monitor aimed at the high-end professional designers, photographers, video editors, and alike. The ViewSonic VP2785-4K features 10-bit IPS panel with factory-calibrated colors to Delta-E < 2, 4K UHD resolution, support for HDR10 content, extensive connectivity, and a versatile slim design. The monitor is limited to 60Hz, so if you’re a gamer, you may want to check out the best gaming monitors available instead. The IPS panel of the ViewSonic VP2785-4K delivers the impeccable color consistency and accuracy as well as 178-degree viewing angles. The monitor comes with a calibration report for the following color spaces: sRGB, EBU, SMPTE-C, Rec709, and DICOM-SIM; Adobe RGB is covered by over 99% and DCI-P3 by 96%. 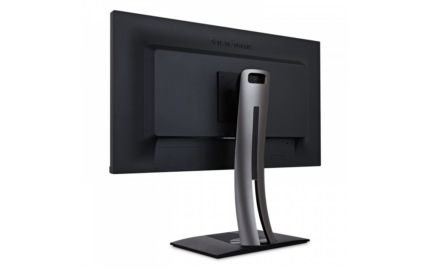 For all of the mentioned color gamuts excluding the DICOM-SIM, the ViewSonic VP2785-4K provides integrated color uniformity function that ensures that colors are consistent across the entire screen at all times. For sRGB and Adobe RGB color spaces, the backlight sensor can stabilize color and brightness uniformity in just three minutes. The HDR10 (High Dynamic Range) format is supported, but not to the full extent as the ViewSonic VP2785-4K doesn’t qualify for the true HDR experience which requires at least 540nits of peak brightness, among other things. Nonetheless, HDR extends color and contrast for a more immersive viewing experience of HDR-ready PC content as well as its creation. 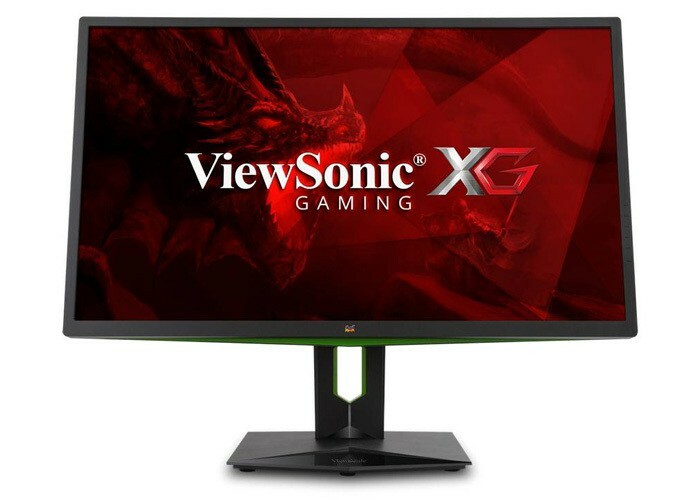 Furthermore, the ViewSonic VP2785-4K IPS monitor is compatible for hardware calibration with the separately purchasable ViewSonic Colorbration Kit. Other useful features include 14-bit 3D LUT palette that consists of 4.39 trillion colors, 6-axis color adjustment, and the Film Mode for smoother video playback. The monitor features a built-in ambient light sensor which automatically adjusts the brightness according to the surrounding. 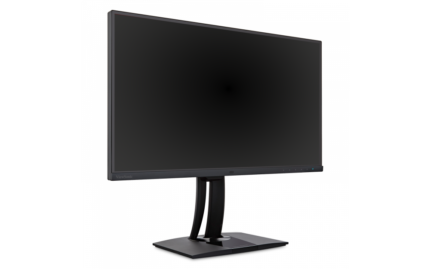 There’s a presence sensor as well that saves on energy by turning off the ViewSonic VP2785-4K WLED backlight when it detects that nobody is in front of the screen. It can be disabled or set to different sensitivity levels. The response time speed amounts to only 14ms which is plenty for photo and video editing but may result in noticeable ghosting and blurring while watching fast-paced movies or playing video games. In this case, you can enable the overdrive setting which increases the speed to 8ms; though still not enough for competitive gaming, it’s more than enough for what the monitor is intended for, professional color-critical work. The ViewSonic VP2785-4K design consists of alluringly thin bezels while the screen surface is covered with a matte anti-glare coating which eliminates the sunlight reflection. The ergonomic abilities include 130mm height adjustment, 120° swivel, 90° pivot, -5°, 21° tilt, and 100 x 100 VESA mount compatibility. There are plenty of connector ports available to suit every device; there are two HDMI 2.0, a DisplayPort, a mini-DisplayPort, a USB type C, three downstream and one upstream USB 3.1 ports as well as the headphones jack. The USB-C port allows for simultaneous data transfer, device charging, and 4K video/audio streaming. Moreover, the monitor has a KVM switch which can be used only if one display is connected via the USB-C. 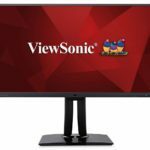 The ViewSonic VP2785-4K price is $990 and it should be available in August 2017. The price is reasonable considering the monitor’s top-level color accuracy and features. However, you may want to consider investing in a true HDR display, the Dell UP2718Q. Although it’s $500 extra, it’s absolutely state-of-the-art and future-proof for content creators. Some other similar monitors with limited HDR support include the upcoming BenQ SW271 and the LG 32UD99. For more monitors for photo editing and designing, check our buyer’s guide on professional monitors for color-critical work. The ViewSonic VP2785-4K UHD monitor gives the high-end content creators all the tools they need for their work. With precise and consistent colors of numerous different color spaces, HDR 10 support, uniform brightness, exclusive built-in sensors, versatile and thin design, and the plethora of connectivity options, the $1,000 price tag is on point.